DMAR exercises a quality control procedure for engineering calculations, drawings, and project documentation using a system of supervisory approval, document tracking, and project procedures. This further enhances project quality assurance programs that checks on the conformance with standards, operational procedures and project specifications. The purpose of the project quality system is to provide each team member a definition of project expectations and requirements. 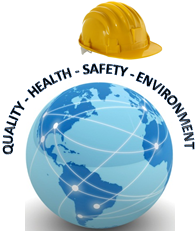 The project quality system is based on the DMAR corporate quality system and procedures. The corporate quality objectives established for each project are to create an environment of continuous challenges to improve quality practice. Establish and maintain a confidence that all services and documents are in conformance with all regulatory requirements, industry practices, and client requirements. Minimize quality related defects and rework through a commitment to total quality. Copyright © 2011- DMAR Engineering Inc. All Rights Reserved.